Amazon PPC is often an underused tool that can help you to sell more products online. But did you know that it can help you to improve organic rankings for your products as well as increase your breadth of data? 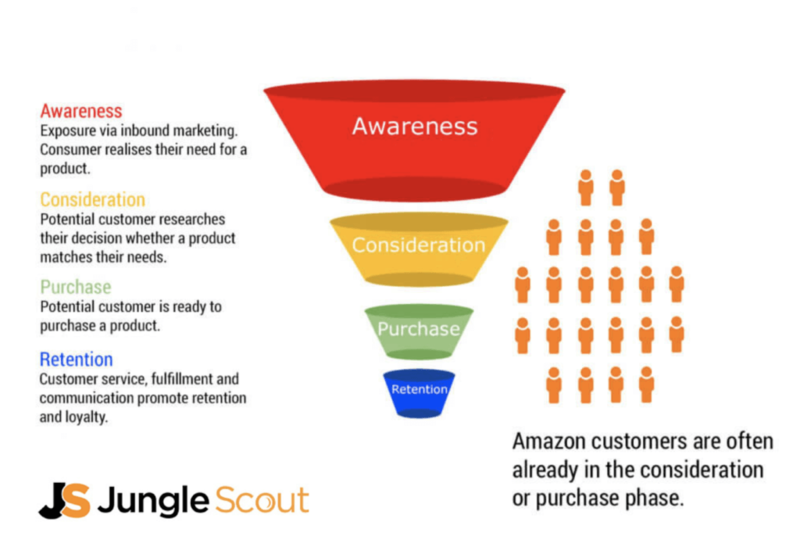 Here at Jungle Scout we love nothing more than to support the growing Amazon seller community in being more successful and selling more products. So we’re going to take a look at the reasons running PPC campaigns may be the missing ingredient to your Amazon recipe. For those of you out there who aren’t big fans of paid advertising, hear us out. 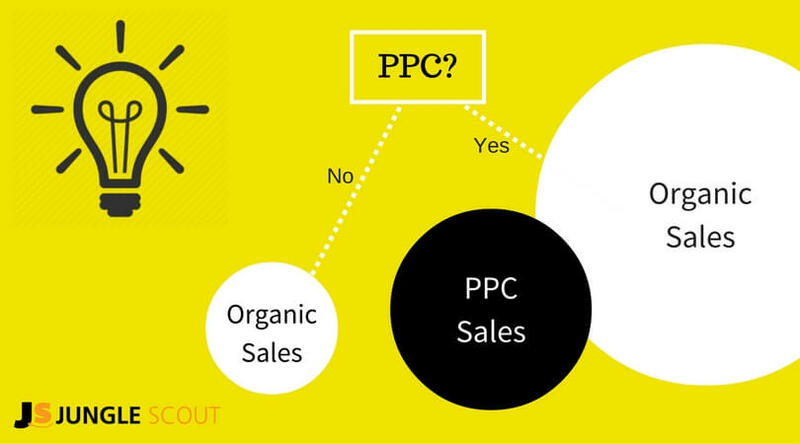 There is a strategy to suit every budget and compelling evidence to support why you might want to give PPC a chance to boost your Amazon selling business. But don’t just take Jeff Bezos word for it, we have some reasons of our own for you to consider. Especially if you have used Google AdWords or Bing Ads in the past, you might be pleasantly surprised at how much easier Amazon PPC is to set up and manage. Amazon is a place where people go to buy stuff. They’re often not at the top of the marketing funnel, doing some early searches in Google or Bing. They’re much more likely to have an idea about something they need or be ready to purchase, and that’s why you need to be there with your perfect product ready for them to buy. This means that you can get a healthy amount of impressions and more importantly, good return on investment. That is, providing you set up a strong campaign and are able to be flexible and reactive with your campaign management (we’ll get to that part soon). As an Amazon seller you may be worried about marketing your products outside of the Amazon platform or driving external traffic. But in reality, there is such a huge audience to target within Amazon already, which is a great way to build awareness and exposure. You can see some favourable spend and sales figures, alongside ACoS – ‘Average Cost of Sale’, where we’re spending as little as 13% of the total attributed sales for that campaign. ACoS is the percent of attributed sales spent on advertising which is calculated by dividing your total spend by attributed sales. You can view ACoS by campaign or at keyword level. ROI might be the most compelling reason to run Amazon PPC campaigns, but it doesn’t stop with the sales you made directly from your ads. As your carefully planned and executed campaigns are going to be building your organic rankings, you are likely to see sales go up in general too. For example, let’s say you have spent $500 on your PPC campaign and generated 50 sales directly from those ads. But you have also made 150 sales that month organically, which is 100% more than your average monthly sales of that product. If you look at it this way, your campaigns have generated 125 more sales in one month. Even though many of these sales were not directly because of your PPC campaigns, it’s safe to assume that PPC is assisting your improved revenue. Particularly if you are selling private label products, you can soon start to fulfil your target of selling a specific amount of units per day or more, just by running a few PPC campaigns (we believe a target of 10 is optimum, based on the data we run at Jungle Scout). 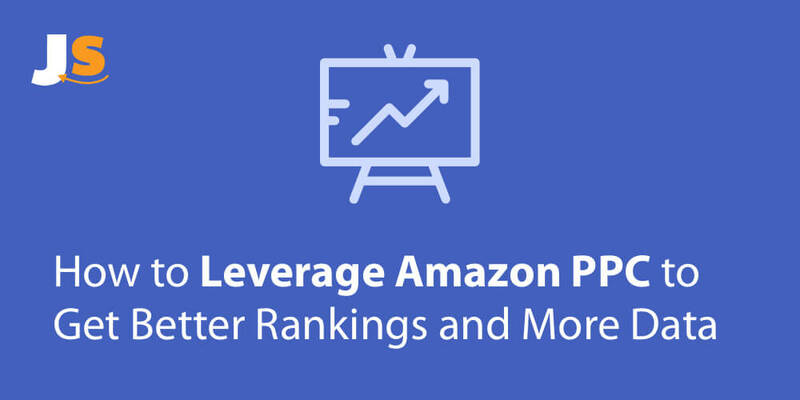 If you’re selecting products based on sufficient demand with low enough competition for opportunity, Amazon PPC is a surefire way to getting your new product ranking on the first page and selling faster. Tip: Use the Jungle Scout Web App to scout out product ideas that will make you money on Amazon. You already did quite a lot of the hard work. There’s no need to spend hours writing ad copy and picking images because your Amazon listing will feed your ad. Take a moment to celebrate how much time that will save you and we’ll move on to some strategies to boost your sales and drive your data. ? Tip: Read Greg’s in-depth blog post that walks you through setting up your first Amazon PPC campaign. Hopefully by now you have an idea of why Amazon PPC is going to be beneficial to you. Let’s move on and explore some of the methods we use at Jungle Scout to improve sales and conduct valuable keyword research. First of all you need to pick out the products that you want to advertise. Whether you are just starting out or selling competitively, this is an important consideration. 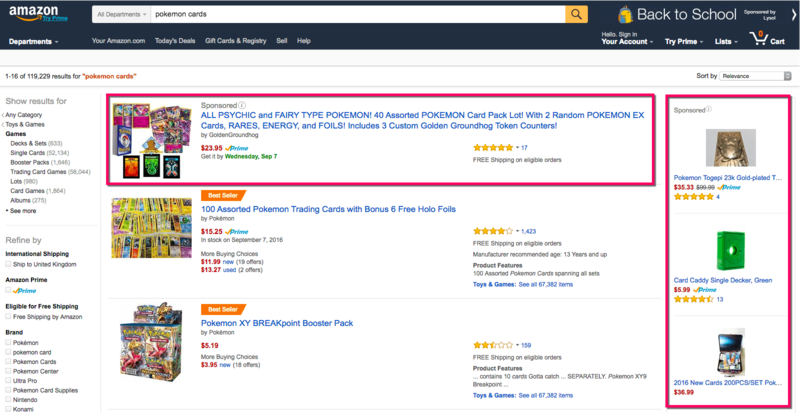 If you’re new to Amazon PPC you might want to test it out with just a few products first. There’s many who would argue that you shouldn’t advertise until you have 5 or 10 reviews on your product, which is definitely the case if you’re being cautious and want to see fast results. Whilst reviews are definitely a huge driving factor for gaining more sales, that doesn’t mean you can’t utilise Amazon PPC with a product that has little or no reviews yet to get the ball rolling. You just need to be aware of the risks in doing so and be prepared to spend a little more to make progress. Don’t worry about spending too long on your keyword research before setting up your campaign. You can and should build on that later. If you do have the time and inclination to start with a manual campaign, you’ll need a starting point with a list of keywords you want to bid on. Alternatively, Amazon has a very useful option when setting up a campaign because you can use ‘Automatic Targeting’. Essentially this is based on your product listing, which is scraped for keywords. Run an auto-campaign for up to 7 days with a sensible budget and bids. Bearing in mind that actual sales data can take a few days to hit your Amazon PPC reports. Tip: Leave at least a 3 day delay for your sales data to determine results. After this period has elapsed, you can download a list of all the search terms people have used to find and click on your ads. From here you can pause the campaign, pull out your top performing keywords and then create a manual campaign based on these keywords. We believe the best option is to do both. It pays off to get busy doing your own keyword research and set up a manual campaign, alongside an auto campaign for an intended short period to find useful keywords. Once you have got past the first hurdles of setting up your campaigns and getting your first week’s worth of keywords, keep on going. 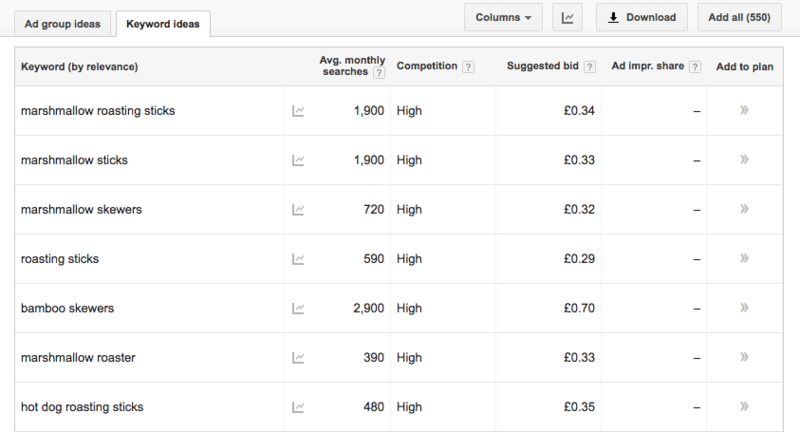 Run your keyword reports regularly and add to your campaigns. You can add up to 1000 KWs in a manual campaign and continue to refine them based on performance. For a completely manual campaign, you will need to spend time looking at your bids frequently. Over time, you will start to see which keywords are performing and which are not. Where you see a keyword getting the best conversion rate, that is, more sales, increase your bids. Where keywords have lots of clicks and low conversions (thus, a high ACoS), reduce your bids or even consider pausing. Amazon are now introducing an automated bidding feature. It’s too early to comment on how successful this is at setting efficient bids. However, as with all other online paid advertising platforms, it is always a good idea to keep a close and regular view of your campaigns to ensure they’re performing within your goals and expectations. Be pro-active and reactive with your campaign management style and it will pay off! You have the choice to set your keywords as broad, exact and phrase match. One method to keep track of performance is to split up your campaigns by match type. It works in a similar way to other advertising platforms like AdWords and Bing ads. You are also able to add exact and phrase match negative keywords, to prevent your ads from showing when specific search terms are used. You can probably see by now that each match type narrows down your target audience. Using match types tactically can allow you to open up your ads to a wider audience which is great when mining for keywords. Alternatively, it can allow you to target very specific terms, which is great when you have lots of data and want to improve ROI by honing in on those customers who are ready to buy. As to be expected, broad and phrase match campaigns often cost more, because they allow for more variance in search terms. However, these keywords are also the best way to get more information about what your potential customers are searching for to find products similar to yours. This is where you can continuously review your data and iterate the keywords you are targeting and what match types you use for those keywords. Tip: Add keywords you find in your broad search term reports into phrase or exact match campaigns, which will help to improve ROI over time. Hopefully you’re going to start to find new keyword ideas and some long-tail keywords that will help you to improve your PPC campaigns. But don’t forget that this data is extremely useful in understanding what your target audience are searching for. Make sure you feed this directly back into your organic listings where necessary to keep them optimized for the key terms that you know perform well and resonate with your audience of potential buyers. Tip: Feed your keyword research back into your product listings and optimize for your organic listings. Make sure you do the math first and be certain that you have a view of how much you’re willing to spend without impacting on your revenue too hard. For example, if you’re selling a product for $35 and the cost of goods is $10, with FBA and other fees at $15, you have $10 profit to play with. From here you can decide how much you’re willing to spend on PPC ads. Tip: Remember to account for the cost of goods, FBA fees and any other miscellaneous costs to figure out your true profit per unit. If you’re unsure about what you set your campaign budget and bids as, then one technique you can do is to set it higher to begin with. So if you know you have $10 profit, try setting your maximum bid as that amount. This doesn’t mean you will actually spend that much every time someone clicks your ad. But what it will do is give you an average CPC (cost-per-click). So if you find your average CPC is $3.50, reduce your bid down to $4 to ensure you’re competitive. As you can tell by now, we really advocate using Amazon PPC as it is a great way to improve sales and rankings, with the added bonus that you will get lots of keyword research and data whilst you are at it. Continually monitor your organic listings and overall sales alongside your PPC campaigns, so that you can see what positive effect they are having besides the direct return on investment. Ensure you get your dollars worth and leverage your PPC campaigns to mine for keywords, and feed these back into your campaigns and see what sticks. Don’t forget this data is showing you what your potential customers are searching for, so don’t miss opportunities to optimize your organic listings using this information too. If you have some margin to play with, you can utilise Amazon PPC when you have a great selling product to give it an extra boost. Conversely if you have a product that is underperforming, PPC can assist you in getting it visible and ranking better organically. Remember that you need to dedicate time to your campaigns each week – be reactive and keep improving your strategy. We hope you found this useful, whether you are already running campaigns and found some new tips, or if you’re an Amazon PPC beginner. It’s not a bad thing to have a healthy competitive streak when it comes to selling online. Amazon PPC can certainly help give you that competitive edge. We’d love to hear about your own successes or tips in the comments! My product will reach Amazon warehouse next week. I want to start – Run an auto-campaign at once. You wrote that the best option is to do both – set up a manual campaign, alongside an auto campaign. I’m not sure I understand – should I start an auto-campaign for 1 week and from there manual? Also, There is a common version of running 2 automated campaigns at the same time. The second campaign is low, for an unlimited period. I wanted to know what the BID + option is for? Does Amazon charge it money? And what is its main use and benefits? Excellent question! The Bid+ feature can be turned on at campaign level, and basically enables Amazon to increase your default bid by up to 50% if your ad is eligible to appear in the top position. Think of it as a little boost to ensure your ad gets the best exposure. Some sellers have reported good results using Bid+, but obviously as it allows your cost per click to increase, it’s something you need to keep a watchful eye on. There is an advertising report in Seller Central called “Performance by Placement” that helps you to figure out whether Bid+ is optimizing your campaign or not. The main use is to boost visibility and if it works the benefits are increased sales and profits, but you need to ensure that this outweighs the extra cost. Great article. I’m inspired and already see a difference! Main issue, I have one main auto campaign for all our products, over 1000 of them. Because of your article, I also started manual campaigns, one per product. I want to now extract KW from the main auto ad report to use for the individual manual campaign, like you’ve mentioned. When I look at the report from the auto campaign, its a mess. How do I organize the report to see which keywords/search terms came in for which product? If you enlighten me on this, I’d be forever grateful! Your download will be in a basic text file but you can just copy all and put it into a spreadsheet. This will enable you to figure out which keywords are performing and are worth putting into a manual campaign (perhaps as exact match keywords, rather than broad). Hi great article however when I paste a competitors Amazon Listing ( full cannonical url ) into Google KW tool it throws back loads of irrelevant KW’s – any suggestions pls ? Someone else spotted this recently too and I tried it myself and unfortunately it looks like either Google or Amazon have changed something that has stopped this from working. I had a little dig around and I noticed that using a regular website, this part of the tool still seems to work. But when you enter an Amazon product listing URL, you jut get irrelevant KW’s. One manual work around would be to look through the listing and pull out some keywords and then put those keywords into a tool such as keywordtool.io or LSIgraph.com to find further ideas. Hi, I ran a manual campaign for about 2 weeks it got an ACOS of 30% now i need to refine it but am getting a bit confused with the report. Most keywords that generated sales have just 1 or 2 orders against them should I use these for phase match? Or let the campaign run longer? Did you mean to say you ran an auto campaign for 2 weeks? And now you are thinking of pulling out your performing keywords into a manual campaign by match type it sounds like! Personally, I would leave the auto campaign running to find further keyword opportunities from the search terms report. For those keywords where you have seen some sales, you can start to pull those out into a phrase match campaign, which may catch any further variations of that keyword, or put them straight into an exact match campaign. 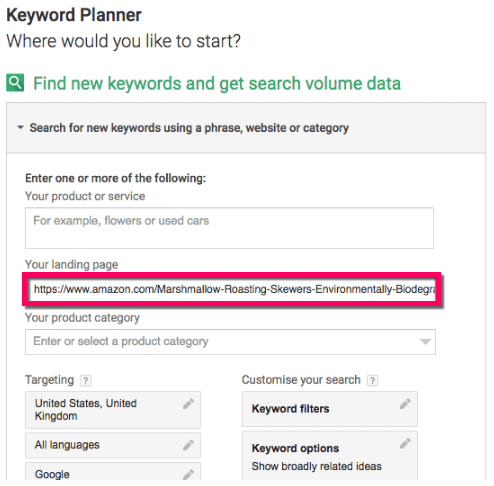 Don’t forget to add those keywords that you pull out into manual match type campaigns as negative keywords in your original campaign. This means you can keep the auto campaign running and gathering keyword opportunities for a longer period of time. If you were running a manual broad match campaign the same logic applies! I can’t seem to pull any reports on my auto campaign. Is that not possible to see which words are successful on auto? You should be able to download a search terms report for any campaign. If you head to campaign manager, and click into the specific Auto campaign in question, you should be able to download it directly from there. 1) How do you organize your campaigns? When I optimize, and add new keywords should I create new campaigns or add to the old campaigns? I don’t want to be bidding against myself if there are repeat keywords. 2) If a keyword has bad ACOS, then should I hit pause or readjust the bid, and to what bid price should I lower it to? 3) Many of my products are in very competitive niches. The ACOS is through the roof like 60-120%. I’ve optimized by adjusting the bid, but then it only spends like $3/day when my budget is $25. I can’t seem to find a happy medium -it’s always the extreme of overspend or little to not spend. Would love to hear your thoughts! Be great to see examples as I’m a visual learner. Thanks so much! 1) When you find keywords that are bringing in sales, I would create a new manual campaign and boost those keywords with budget for maximum impressions share. At the same time, you should add these as negative keywords in any auto campaigns (so you don’t need to pause the whole campaign). For manual campaigns I would split by match type. Depending on your goals, you could pull out high performing KWs into a phrase match campaign, to catch any further variations, or you could put them straight into an exact match campaign. If you wanted to be more granular, you could also try to group campaigns by topics/words. 2) I would say that you need to judge this based on the keyword and your budgets. If you have other keywords that are working great for you and one with a bad ACOS, you might want to pause it to save your PPC budget for KW’s that convert. However, as Billy pointed out in the comments above, you could keep reducing the bid in small amounts until the keyword improves or stops getting impressions, so this is another tactic to experiment with. 3) I hear you, sometimes competition can be really fierce. Firstly I would suggest that you tweak your bid in smaller increments if you haven’t already been doing that. Another option is that it may be worth coming up with a promotion or added bonus that won’t hurt your bottom line in order to get sales volume up. Thanks for your article. Is google planner a free tool to use? Very good question, Google Keyword Planner used to be entirely free, but Google have recently been restricting data to those people who are not running active Google AdWords PPC campaigns. If you don’t have access to a running AdWords account, you’ll notice a difference in the data. For example where keywords are showing a range (e.g. 10-100 or 100-1k) rather than a specific average monthly search volume. So although you can access it for free, the data will be limited. You can also use other tools for keyword ideas (without search data), such as ubersuggest.io and internetmarketingninjas.com/search. How can we download the list of search terms people used to find our product , once you have started running the campaign? Within the Advertiser Reports tab of Seller Central, you will find a search term report showing the past 60 days worth of data. You can request a report in here, which will allow you to download a file that you can paste into Excel. Lots of impressions does not equal high cost. Lots of clicks does 🙂 Also there is a strain of thought recently that suggests one should never pause keywords, just keep reducing the bid until it proves positive or stops getting impressions. Good catch, ultimately it is the clicks that cost money. What is the rationale behind lowering bids instead of pausing? Is that to indicate to Amazon that you are still relevant for the keyword? Have you done this yourself and seen results either way? Would be curious to hear more! Thanks for pointing this out Billy, I’ve corrected the wording. Interesting point regarding not pausing keywords. As Gen said, we would love to hear more about your method of reducing the bid until it proves positive. Good question, PPC can be hard for low-margin items. One way to make it work is by finding some very long-tail keywords, use exact or phrase match, and monitor your bids and conversion rate very closely so that it doesn’t exceed the ACoS at which you end up losing money. Hope that helps! Great article. But are you sure about broad match? I’m pretty sure with broad match in Adwords it will show the ad for any search term where either word of the broad match is found. So if the broad match = “bamboo skewers”, it will fire on “stainless steel skewers”. Thanks for your comment & you’re right – thanks for pointing that out. Although it may prioritise/rank ads that are more relevant and actually selling stainless steel skewers, the search term “stainless steel skewers” could potentially be a broad match variant of “bamboo skewers”. This is where negative keywords might be useful, too!